Boardman - JoAnn M. Ziemianski, 81 departed this world Tuesday afternoon with her loving family by her side. She was born in Youngstown on January 10, 1937, to her parents William P. and Anita Zarlengo Massaro. 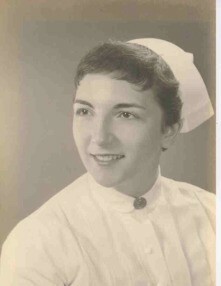 JoAnn was a 1954 graduate of Boardman High School and a 1957 graduate of the St. Elizabeth nursing program. She worked as a registered nurse at St. Elizabeth for several years before becoming a private duty nurse, finally retiring from the Bureau of Workman’s Compensation in 2004. 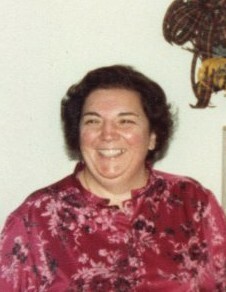 JoAnn was a member of the Ohio Nurses Association District 3, Sts. Cyril & Methodious Church, the Youngstown Council of Catholic Nurses, and the Boardman Garden Club. She devoted much of her time to Meals on Wheels. She leaves to cherish her memory, her sons, John J. (Karen) Ziemianski and Robert P. (Lori Fantone) Ziemianski; her four grandchildren, Stacey (Kevin) Myers, Laura Ziemianski, Michael Ziemianski, and Caroline Ziemianski; her great grandchildren, Delena, Gianna, and Siena Myers; her sister, Mary Rita (Philip) Pillin; her brother, Dr. Dominic W. (Karen) Massaro; and many nieces and nephews. JoAnn was preceded in death by her parents and husband, John P. “Jack” Ziemianski whom she married January 11, 1958, died May 2, 2016. Family and friends will gather in Schiavone Funeral Home on Friday, June 22, 2018 from 5-7pm and on Saturday, June 23rd from 9-9:30am. A Mass of Christian Burial will follow in Sts. Cyril & Methodius Church at 10am officiated by Rev. Melvin Rusnak. The family asks that donations be made to Hospice of the Valley in JoAnn’s memory.